RALEIGH, NC (July 31, 2018) — The Riley Institute at Furman University has selected Sheronda Fleming, Director of the North Carolina Center for Afterschool Programs (NC CAP), to participate in the White-Riley-Peterson (WRP) Policy Fellowship. A partnership with the Charles Stewart Mott Foundation, the WRP Fellowship is a ten-month, national program designed to equip graduates with a real-world understanding of policy-making for afterschool and expanded learning. Since 2017, Sheronda has been at the helm of NC CAP, working to support afterschool professionals and advocate for out-of-school time opportunities for youth statewide. A proud graduate of Furman University, Sheronda also holds a Master’s Degree in Youth Development Leadership from Clemson University and is a doctoral candidate at North Carolina State University. As a college student, Sheronda founded the Ladies of Distinction mentoring program for middle school girls, which ignited a passion within her regarding the necessity for access to out-of-school time learning opportunities for all youth. Following that trajectory, Sheronda has spent the last 13 years serving youth in South and North Carolina through an array of roles in out-of-school time programs and youth serving organizations. Including Fleming, 16 individuals have been selected to become WRP Fellows this year. The number of WRP Fellows nationwide has grown to 106 in 49 states since the initiative launched in 2012. “It is so important for young people to have access to high-quality academic enrichment opportunities during afterschool hours and in the summer – and we need policy leaders who can make that happen. The White-Riley-Peterson Policy Fellowship is leading the way in developing afterschool advocates, future policymakers and advisors across the country. I’m so proud to welcome 16 more leaders to this outstanding program,” said former U.S. Secretary of Education Richard W. Riley. The WRP Policy Fellowship is named for Riley and for William S. White, chairman and CEO of the C.S. Mott Foundation, and Dr. Terry Peterson, national board chair of Afterschool Alliance and senior fellow at the Riley Institute and the College of Charleston. Learn more about the White-Riley-Peterson Policy Fellowship by watching this short video here. 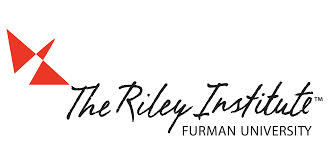 Or contact Cathy Stevens at the Riley Institute 864- 294-3265, or cathy.stevens@furman.edu. The Charles Stewart Mott Foundation, established in 1926 in Flint, Michigan, by an automotive pioneer, is a private philanthropy committed to supporting projects that promote a just, equitable and sustainable society. It supports nonprofit programs throughout the United States and, on a limited geographic basis, internationally. Grantmaking is focused in four programs: Civil Society, Education, Environment and Flint Area. In addition to Flint, offices are located in metropolitan Detroit, Johannesburg and London. With year-end assets of approximately $3 billion in 2017, the Foundation made 375 grants totaling more than $122 million. For more information, visit www.mott.org. As North Carolina’s only center dedicated to serving the afterschool and expanded learning community, the North Carolina Center for Afterschool Programs (NC CAP) leads and supports a network of over 6,000 providers. NC CAP is a part of the Public School Forum of North Carolina. Our work impacts 160,000 K-12 students in the afterschool community throughout the state. We support the afterschool and expanded learning community by advocating and helping to shape policy, providing professional development opportunities, and bringing together state and national stakeholders. Follow us on Twitter @ncafterschool and visit our website at http://www.nccap.net/.